Have you visited a website and wondered where it really was located? 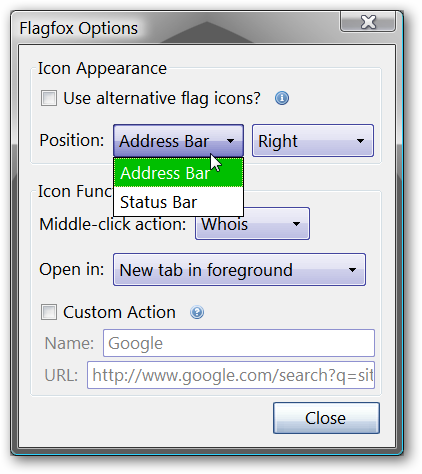 Now you can know the true location regardless of the address displayed in the Address Bar with Flagfox. This can be especially helpful if you are worried about the validity of the website you are visiting (i.e. a fake bank website or a website set up by scammers). 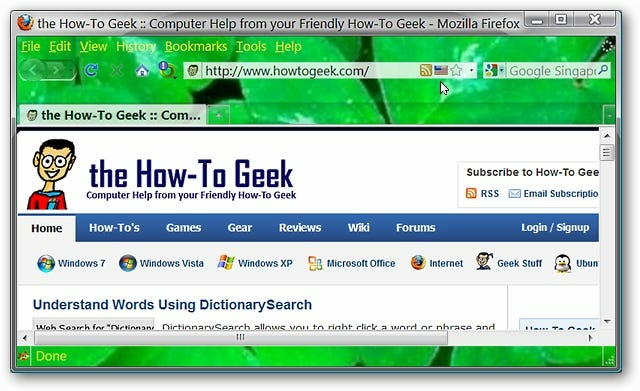 Now you can see a difference when we visited the How-To Geek website after installing the Flagfox extension. Notice the little flag symbol in the address bar (default location). Watch what happens after hovering the mouse over the little flag symbol. 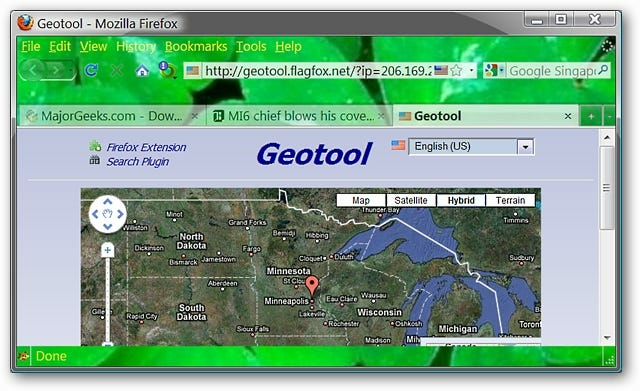 Now we can see the website address, the IP address, and the country that the website server is located in. Very nice bit of information! So far, so good. But what happens if a website’s server is actually located in a country that is different from the one shown in the address? Wow! Look at that warning message! 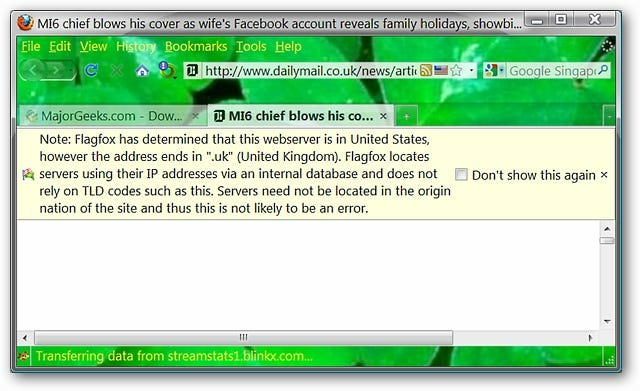 Here we have a website that is listed for the United Kingdom but is actually hosted on a server in the United States. The nice thing about Flagfox is that the website will not be allowed to finish loading until you have clicked on the “X” on the right side (therefore granting permission to continue). Otherwise you may simply close the tab if you are worried about the validity of the website. Note: You also have the option to disable the warning message from appearing again if you only want to rely on the flag symbol shown in the address bar. Assume that you are comfortable with the website (and the actual location) and allow it to finish loading. Can you acquire more information about it? Yes! 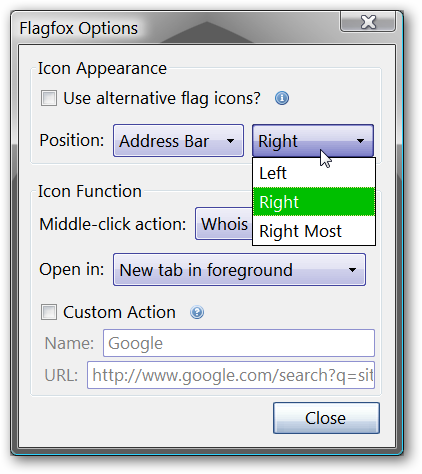 Left click on the flag symbol in the address bar and a new tab will be opened with a map of the location and more information (i.e. ISP and city). Here is what displayed for the website shown above. Very nice! 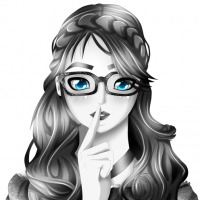 Ready for even more information? 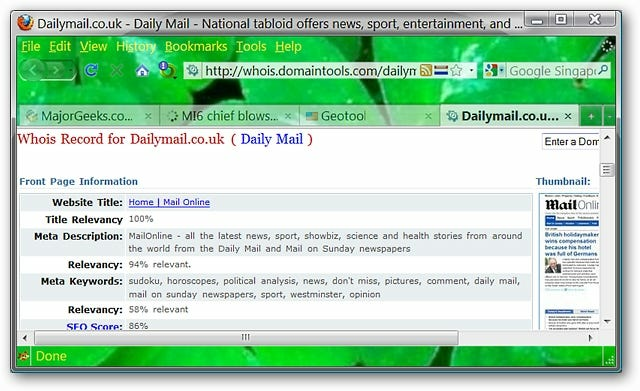 Middle click on the flag symbol to see detailed information about the website domain. 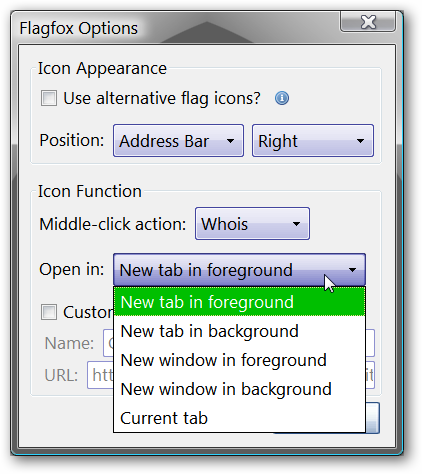 The options for Flagfox are nice and simple to work with. Mainly they focus on icon location, icon display, and services used with the extension. Select the tab opening style when getting additional information about a website. 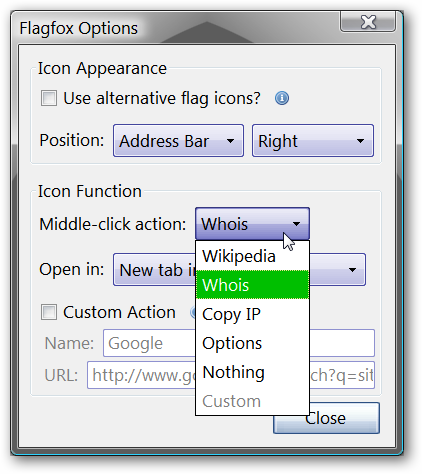 Flagfox is a wonderful extension that can help make your website browsing more secure and give you peace of mind when it comes to knowing where a website is actually located. Give it a try, you just might be surprised to see where some of your favorite websites are located at!